After Sales Services For any queries please contact Customer Service Number - 1800-425-8665 (Toll free) Application The hammering and rotating allows users to drill into masonry or concrete about three to four times faster than with an ordinary electric drill. 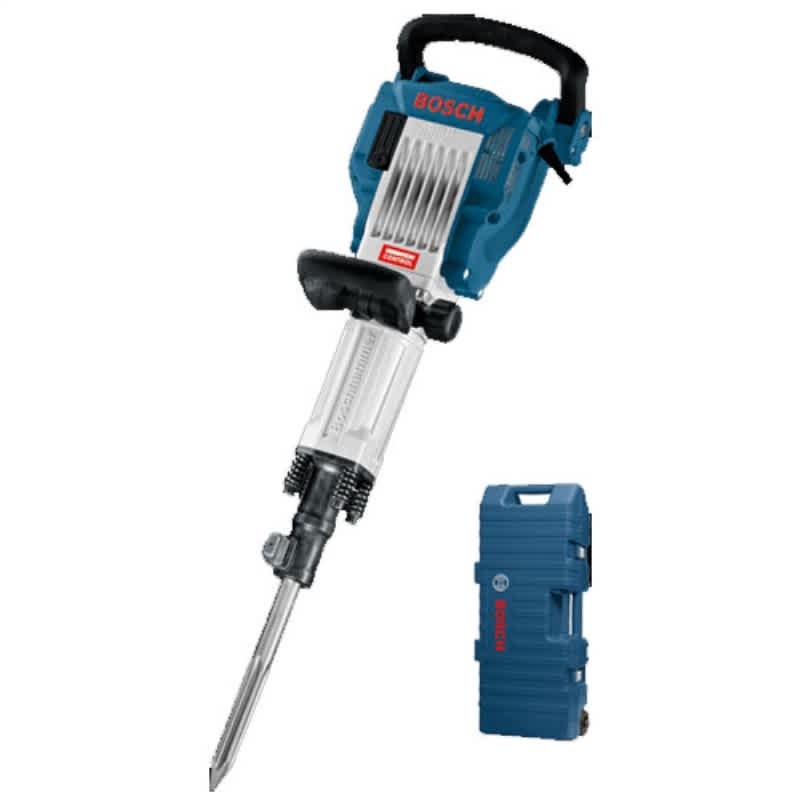 Professionals use this tool to break down walls when performing a demolition Can be used while fitting a new window on a concrete wall, for a clean job Brand Name Bosch Color Blue, Black & Silver Contents In The Box Main Unit 1 Chisel Warranty Card Manual Impact Energy 45 J Item Weight 16.5 Kg Material Type Metal & Plastic Model GSH 16-30 No Load Speed 1300 BPM Part Number 0 611 335 100 Power Consumption 1750 W Warranty 6 Months Warranty Terms & Conditions Valid only through seller/manufacturer; Tolexo is not liable for any warranty claims. Please read the usage manual available with the product to understand product usage and warranty T&C. Any other information regarding warranty can be obtained from brand website or by contacting seller.How to Claim Warranty 1. Please contact the Authorized service center of Brand (list available online) for claiming product warranty and service related issues. Dimension 760 x 255 mm (Lx B) Key Features Unique:The GSH 16-30 Professional can be easily and conveniently transported on rollers in the trolley that is supplied as standard Excellent handling thanks to the large handle. The on/off switch is perfectly positioned, which prevents the tool from being switched off unintentionally. Noise/vibration information : Measured values determined according to EN 60745. Total vibration values (vector sum of three directions) Chiselling : Vibration emission value (ah) : 10 m/s? Uncertainty (K) : 2 m/s? Vibration Control : Patented vibration damping system. Extremely long lifetime due to robust design and use of high-quality materials. Vibration Control for reduction of vibrations that are hazardous to health and, therefore, longer operating time and greater ease of use.